The Science and Technology Facilities Council (STFC) in the United Kingdom is making £3.5 million (about 4 million euros) in funding available over the next two years for UK astronomers to take a leading role in the development of key instruments on the European Extremely Large Telescope (E-ELT). 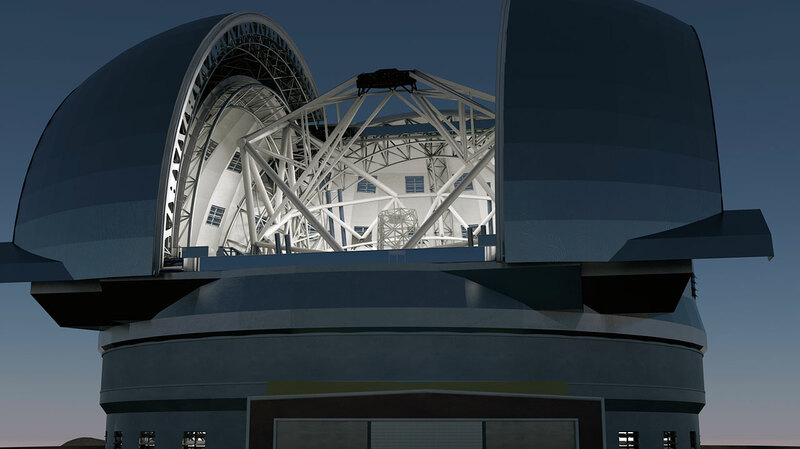 The E-ELT will be the largest optical and infrared telescope in the world and its 40-metre-class main mirror will gather 15 times more light than the largest optical telescopes today. The project is currently awaiting final approval by the ESO Council. The start of E-ELT construction is planned for 2012, with the start of operations planned for early in the next decade. The preliminary funding from STFC, agreed after peer review, means crucial design and technology work is already underway. This will allow the UK to lead the development of one of the two first light instruments on E-ELT, while positioning two other teams to play major roles in delivering the first generation instrument suite. This significantly enhances the opportunities for UK industrial involvement, in terms of direct contracts to work on the project and through ownership of vital technological know-how. The UK took part in successful Phase A studies for several E-ELT instruments. It also funds continued studies in the UK that will allow teams to bid for construction of E-ELT instruments that will follow. These will ultimately provide a suite of mutually-complementary instruments for observations of the faintest planets, stars, and galaxies that are well beyond the reach of existing telescopes. This UK instrument programme will be delivered in close collaborations between Durham University, the University of Oxford, and STFC's UK ATC and RAL Space, together with leading international institutes.